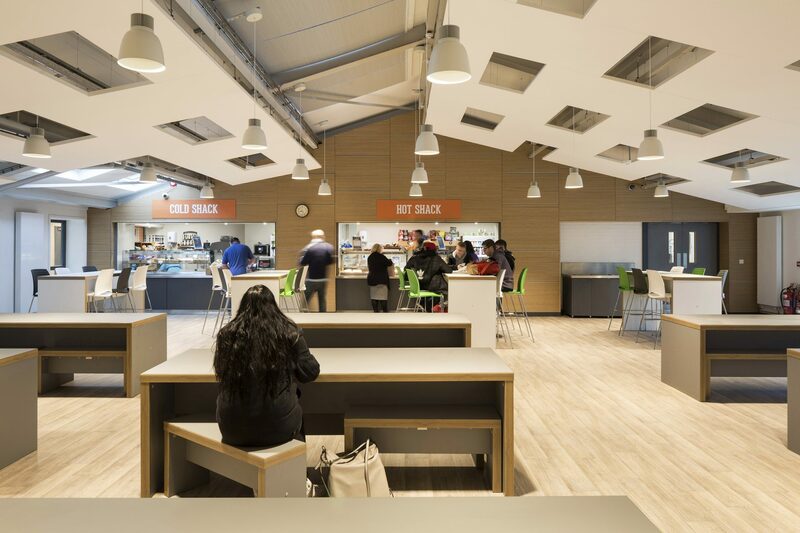 ECE have completely transformed the cafeteria and signage for the MET East Campus at Brighton Metropolitan College. 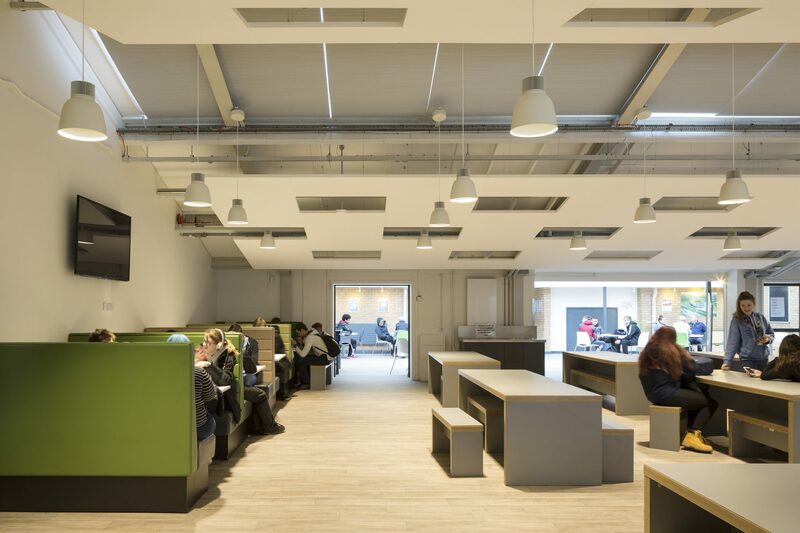 Working alongside the college on a major redevelopment proposal ECE have completely remodelled the existing cafeteria to create welcoming spaces that can be used for informal meetings and study. 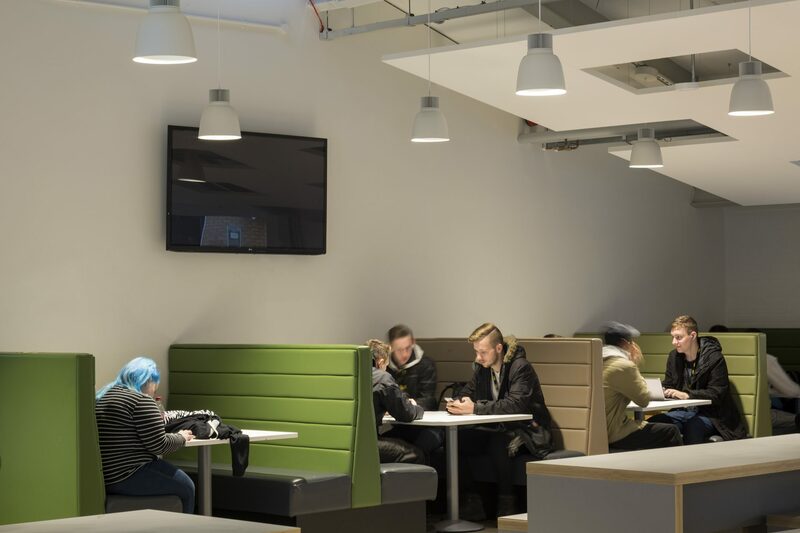 The new and improved kitchen was designed alongside a catering consultant and includes a Barista style coffee machine and offers students a selection of hot food and snacks. 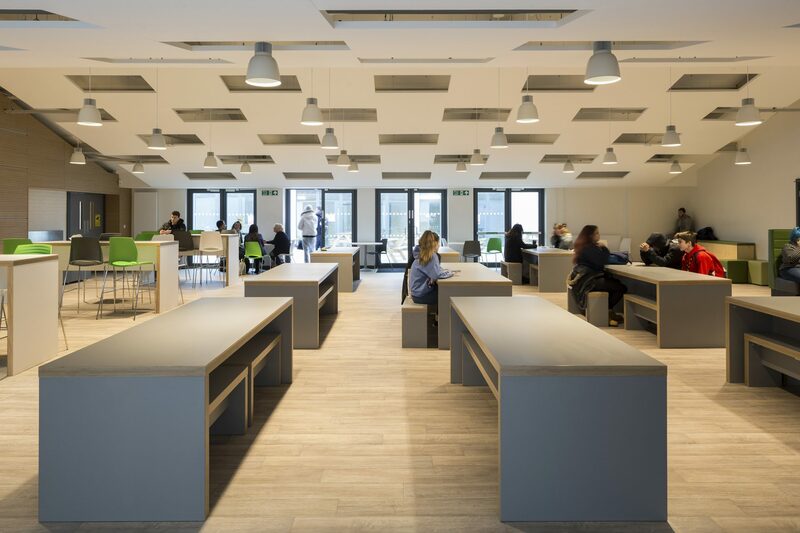 The new floor finishes, decoration and furniture now unify a number of previously disparate spaces. Signage and wayfinding have also been vastly improved and new branding has been incorporated.